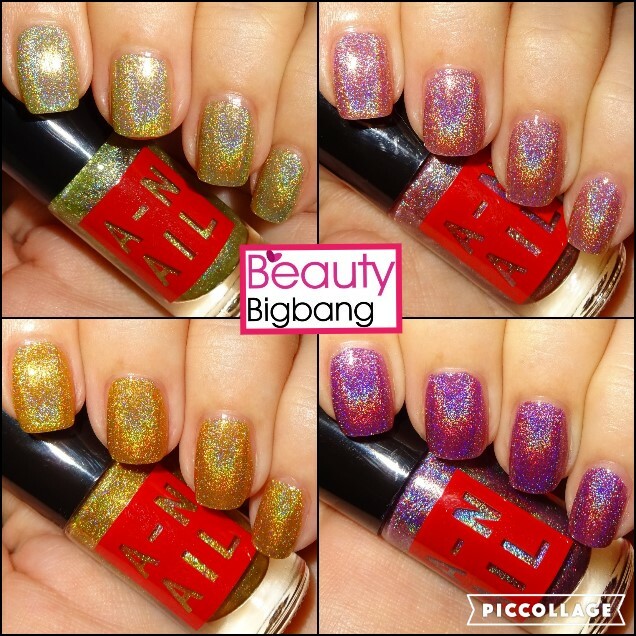 I've got four fabulous holographic nail polishes which I'm going to show you today from Beauty Bigbang. 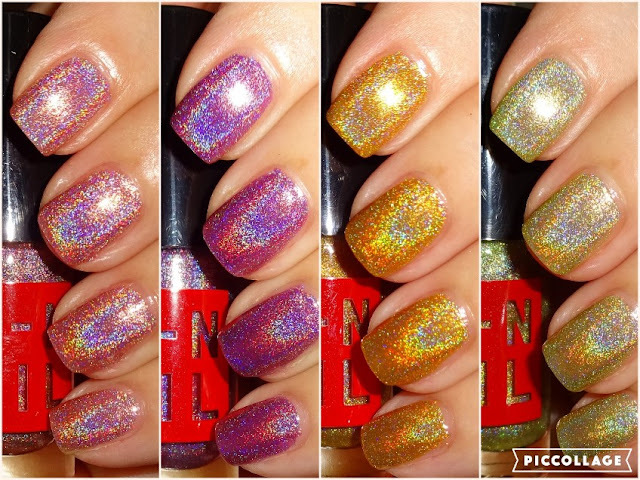 Four beautiful holotastic nail polishes in light green, pink, gold & purple. I applied two coats for full coverage and in the sunshine or bright light they are dazzling! There are lots of other shades to choose from and they are very affordable. Applied easily and are in 5ml bottles. Beauty Bigbang has lots of cool nail art decorations, nail polishes and cosmetics. They offer FREE worldwide shipping and have given me a 10% discount code to share with you, please use WENDY10.